Fast kickers have flexible ankles. Here is a simple mobility drill to help you loosen up your ankles and kick your way to faster swimming. Swimmers spend a lot of time worrying about being flexible. This means mobility work before they jump into the water, and stretching sessions afterwards to stay limber. 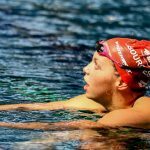 But while most of the attention is paid on mobility work to avoid swimmer’s shoulder–and rightfully so–lost in the stretching mix is working on our ankle flexibility. Why Does Ankle Flexibility Matter? The more flexible your ankle, the more surface area you can direct onto the top of your foot. 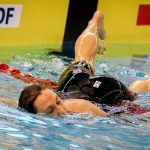 Flexible ankles means that you are pushing more water backwards instead of kicking it down, or in the case of swimmers with very inflexible ankles, simply creating drag. In the same way that great swimmers have a high, early vertical forearm, great kickers have an early vertical ankle in their kick. You should already know what a powerful kick can do for your performance. 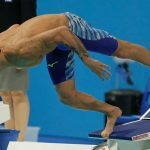 You saw for yourself what Michael Phelps and his underwater dolphin kick did during the 4×100 freestyle relay in Rio (he decimated everyone off the wall in case you missed it). Alexander Popov, one of the greatest sprint freestylers in history, could kick a 50m in 27 seconds…long course. Having a strong kick goes just beyond being able to kick fast, of course. 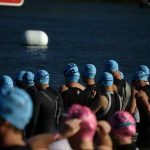 A strong kick gives you better body positioning, creates lift from the downkick that keeps your body riding high in the water, and perhaps most noticeably, when you have conditioned legs your stroke falls apart a lot less at the end of your races. 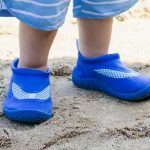 Much like mobility in your shoulders and back is essential for an efficient and full range of movement in your pulling motion, so is ankle flexibility for your kick. 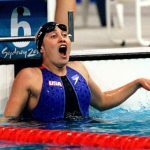 A study of 10 NCAA Division 1 female swimmers found that flexibility in the ankles correlated positively with kicking speed, while vertical jump power and even body size had little significance on kicking speed. Do more kick. Performing more time on your kickboard in the pool gives you the most bang for your buck—you get conditioning work in with your legs, while also loosening your ankles by performing the movement over and over again. Add fins. Everybody loves using swim fins, and with good reason—you get to go really, really fast! The added length and range of motion also stretches out your feet and ankles, making it a dynamic stretching movement. 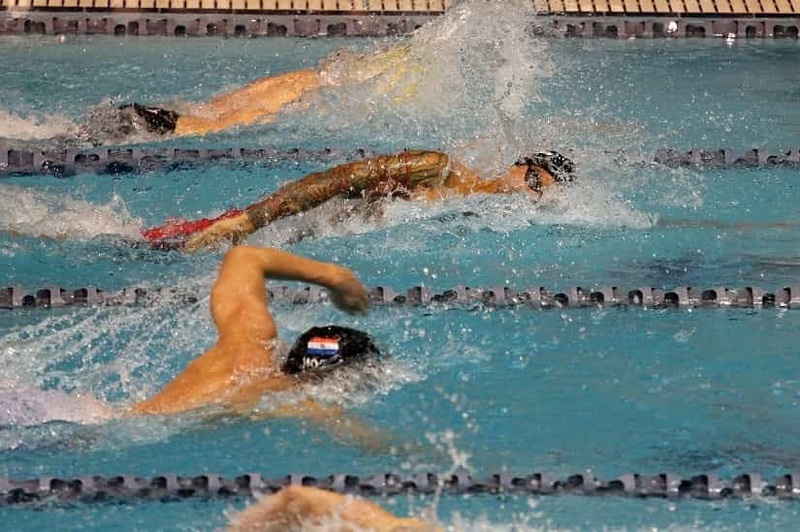 Backstroke kicking, in particular, tends to flex the ankles in particular. Mobility work. For those swimmers who really have awful ankle flexibility, mobility work is in order. There are rockers (where you sit on your ankles and lean back), and simple ankle rotations. 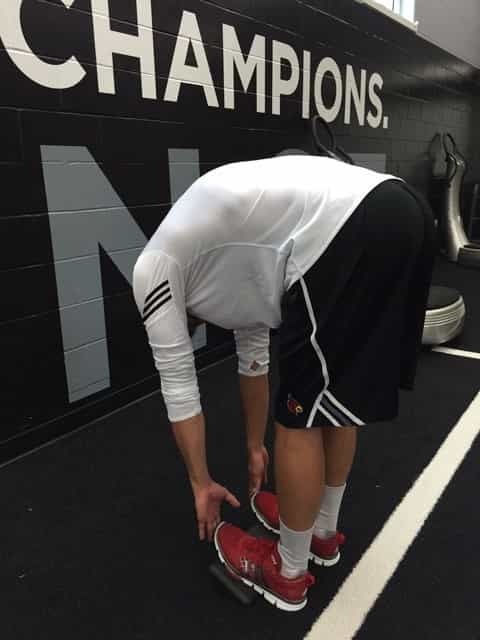 Jason Dierking, the strength and conditioning coach for the University of Louisville Swimming program, has a simple mobility exercise that you can use to increase ankle flexibility while also hitting the big cables running down the back of your legs–your hamstrings. Demonstrated below is the stretch. 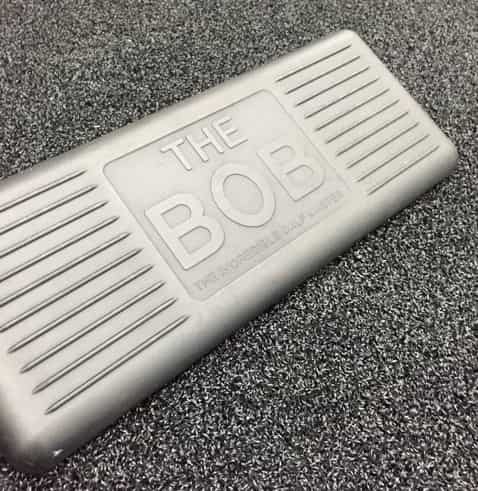 Dierking has his athletes use “The BOB” (an angled platform). If you don’t have access to one you can stack a couple kickboards and place your heels or balls of your feet on the edge of the boards. 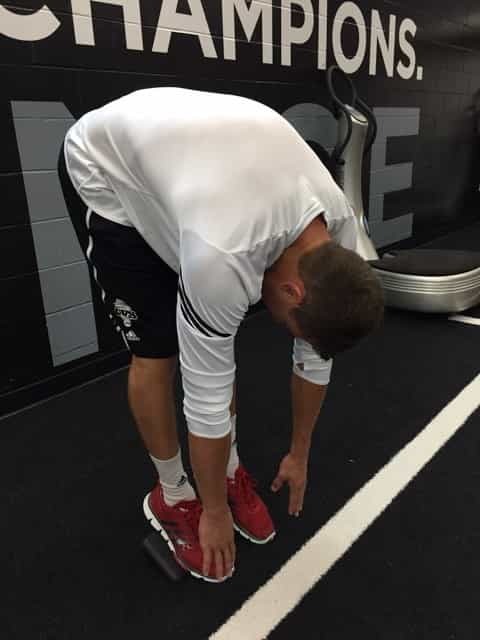 “You can increase the mobility around the ankle dramatically in both directions by putting your toes up and down while performing this stretch,” adds Dierking. A big thanks to Jason for stopping by and sharing this dryland tip with us. 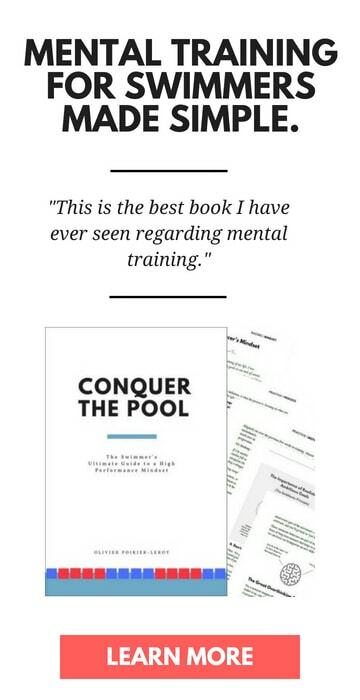 He is the assistant director of sports performance at the University of Louisville, where he works with the men’s and women’s swim teams. You can catch up with Jason on Twitter here. 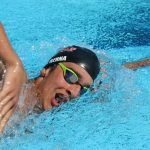 Weight Training for Swimmers: What Your Strength Coach Wants You to Know. We tapped five strength and conditioning coaches from some of the top NCAA programs in the country for their best advice for swimmers hitting the gym. 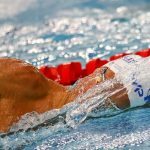 Does Dryland Improve Sprint Swimming Performance? We cover some research that looked at whether or not sprint performance improved with various types of resistance training.